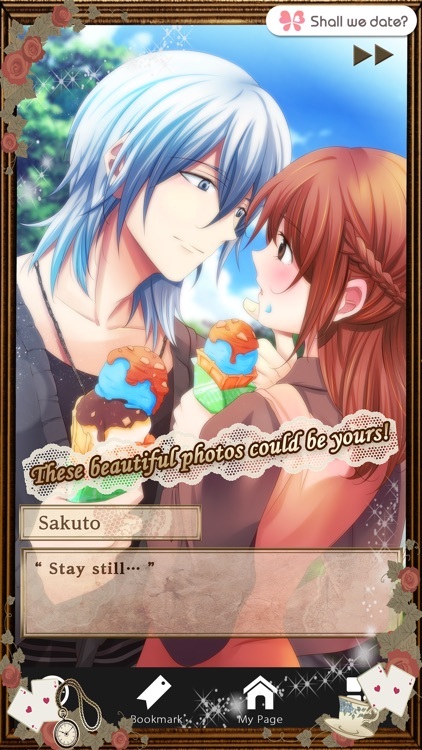 A new pre-paid style game is out from NTT Solmare’s “Shall we date?” series! 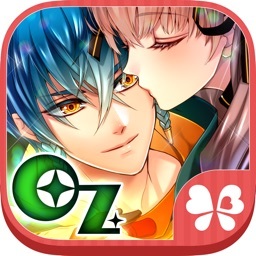 This game, “Shall we date? : Guilty Alice”, is a romance novel game based on the famous “Alice’s Adventures in Wonderland”. 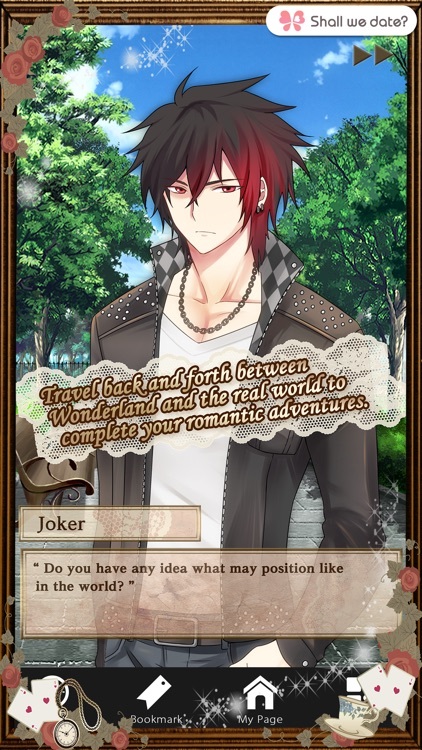 You can enjoy the adventure and romance with various characters from Wonderland in your own special way—make your choices to read all endings! The FREE, substantial prologue will open a door to a series of mesmerizing experience and overflowing wonders! But the moment you touch it, the jewel shatters to pieces. That night, you have a strange dream. Looking down upon you who are made to stand in a defendant’s seat in a courtroom is a queen dressed in red, calling you Alice; there is that shopkeeper with the cat-shaped hood, too! The next morning, when you wake up in the real world, you notice five handsome men standing before you—The Joker, the White Rabbit, the Mad Hatter, the Dormouse and the Lizard. They are the men sent by the Red Queen to grow a Heart, a crystallization of love’s awakening only women are able to make, with you. However, you are also told that once the Heart is taken away, you will no longer have any memory left of the man you have come to love. Traveling between night and day, between Wonderland and the real world—will you be able to grow a loving Heart? -The prologue, which comes with a volume worth reading, is for FREE. 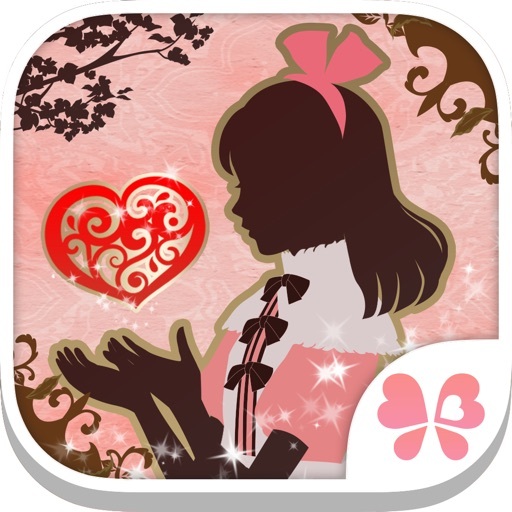 -You will be able to enjoy your romance with each character however many times you want after your purchase. 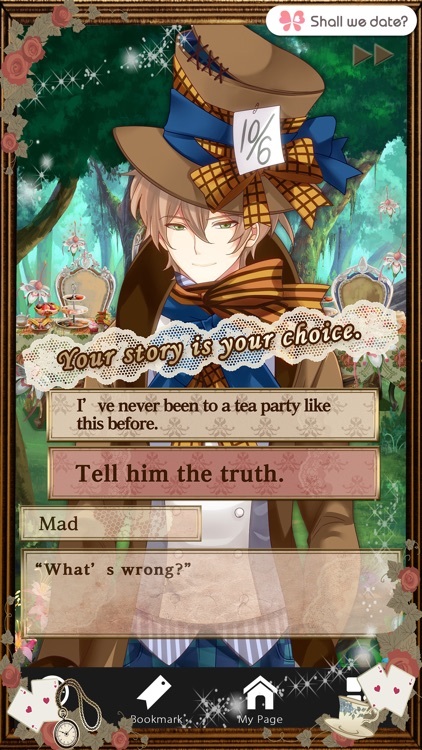 -There will be three different endings for each character’s story, which you will set out for by making choices in the story. 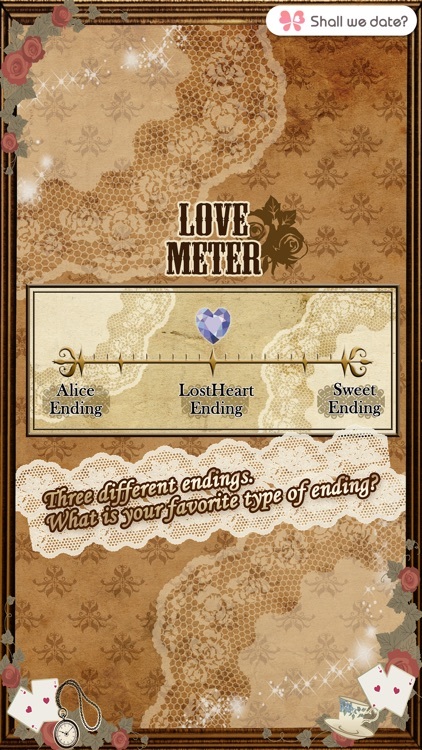 The endings are called Sweet Ending, Alice Ending, and Lostheart Ending; see if you can solve the mystery of the whole story in the Alice Ending...? 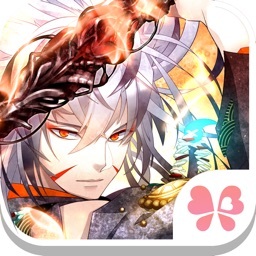 -You will be able to get NINE photos per character. 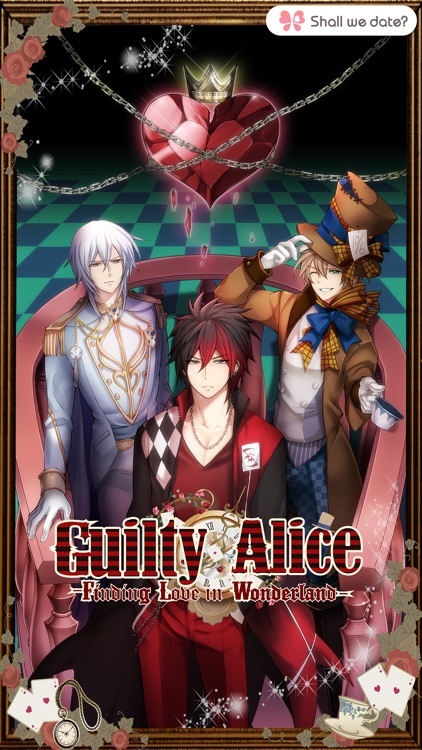 The Guilty Alice is one of our game series, “Shall we date?”. We sincerely hope you enjoy our games and give us feedback!